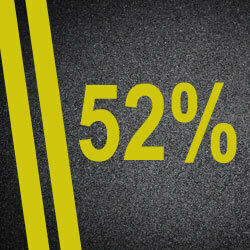 When it comes time to renew your auto insurance policy, do you shop around? If you could get a better deal and pay less for auto insurance, would you? Many don't when it comes to car insurance in Ontario. A Financial Services Commission of Ontario (FSCO) survey shows that more than half (52 per cent) of Ontario drivers simply paid the renewed rate, or took no action, when it came time to renew their auto insurance policy, making their renewal automatic. This could be a costly mistake, especially with the June 1, 2016 auto insurance reforms. When it's time to renew, you'll be given more information from your auto insurance provider. Additionally, you can also learn more about the reforms at the Financial Services Commission of Ontario and the Insurance Bureau of Canada. Did you know? Policies purchased or renewed on or after June 1, 2016 will automatically have the new lower standard benefits. Policies purchased or renewed prior to June 1, won't change until it's time to renew or until you switch insurers. In addition to understanding how your coverage has changed, you'll also want to shop around to make sure you're not overpaying for it. On this last point, Kanetix.ca can help-no one else covers as much of the market as we do. We shop the market to help you get the lowest rate. And, once you find a rate, we'll secure your rate by connecting you to the company. It's easy, secure and free.